I personally have never been a fan of Classic Green Bean Casserole. I know for some people it’s just a staple and you can’t live without it. For the rest of us, there’s a healthier, fresher option now. Taking the traditional ingredients of green beans, mushrooms, onions, and a crunchy top, I’ve made a new go-to for our family’s Thanksgiving. 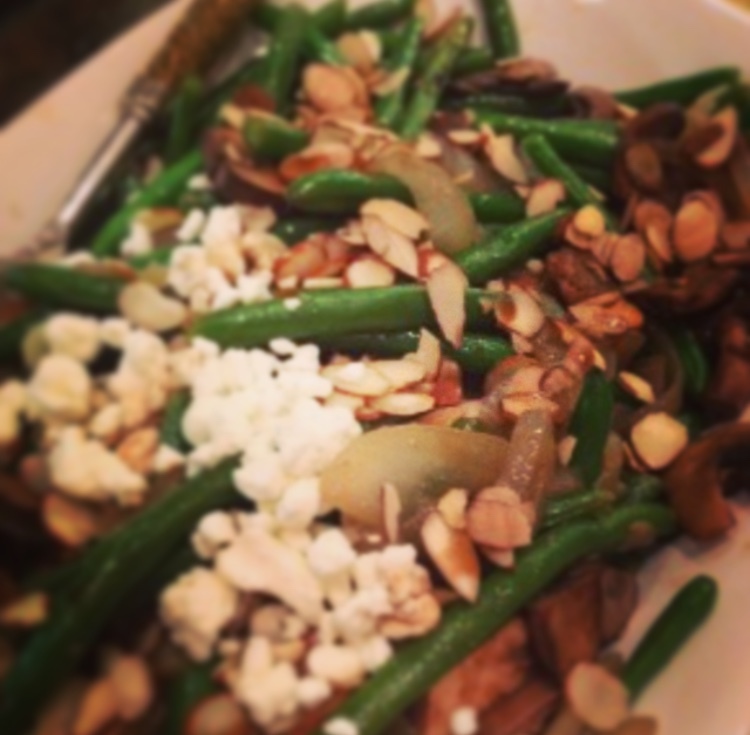 Fresh green beans, Portobello mushrooms, balsamic caramelized onions, crispy almonds and creamy goat cheese. We’ve been serving it for years now. And other bonuses about this dish are it can be made in advance, it travels well, and it’s just as good at room/warm temperature as it is hot. Boom! Thanksgiving for today’s on-the-go family. Heat a skillet over medium-high heat and melt the butter with a couple drizzles of olive oil. Add the slivers of onion and cook until slightly caramelized. Reduce the heat to low and add the minced garlic and mushrooms. Cook until the mushrooms get slightly soft – remember you’ll be baking it again later so you don’t want them to get too soft. 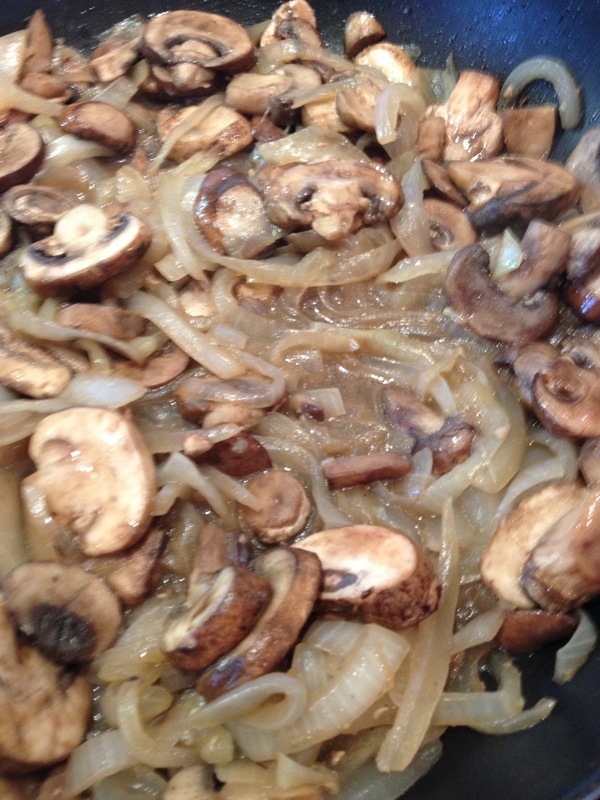 Add a splash of the balsamic vinegar over the mushrooms for the last 30 seconds of cooking. Set aside to cool. 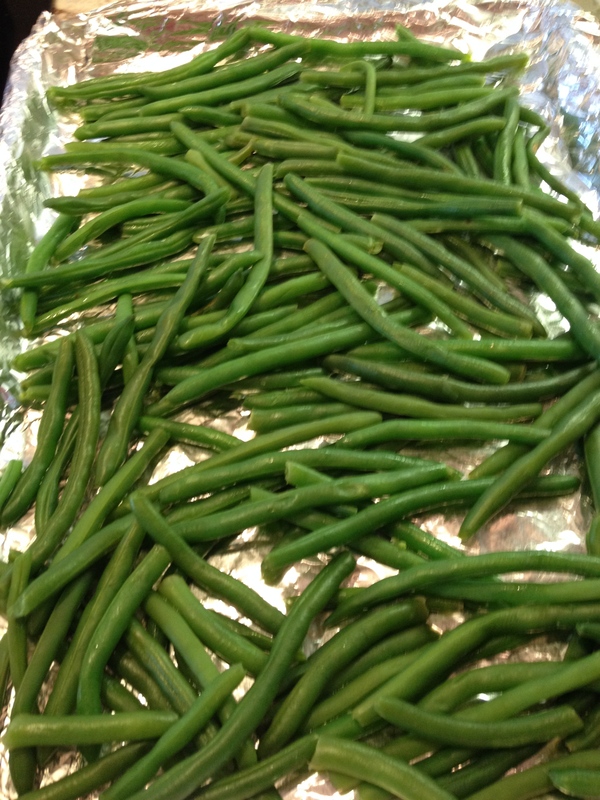 Boil a pot of water for the green beans. While the water is getting ready to boil, fill a large bowl with ice cubes and cold water. Once the water starts to boil, add the green beans and cook for just a couple minutes. When the beans start to turn to a brighter green, quickly drain and throw the beans into the ice water. This keeps the beans from continuing to cook. Remove from the ice water and set aside. All of these steps can be done a couple hours in advance, and stored in air tight containers in the refrigerator. Before serving, preheat the oven to 350 degrees. 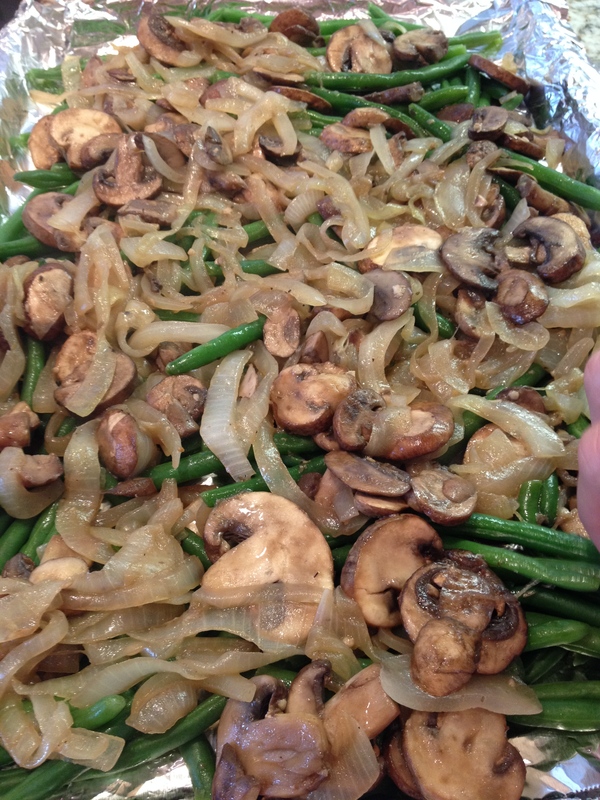 In a large bowl, toss the onion & mushroom mixture with the green beans. Spread them out evenly on a baking sheet. Drizzle with balsamic vinegar and then sprinkle with salt and pepper to taste. Bake the vegetables for ten minutes. Remove and place in the serving dish. 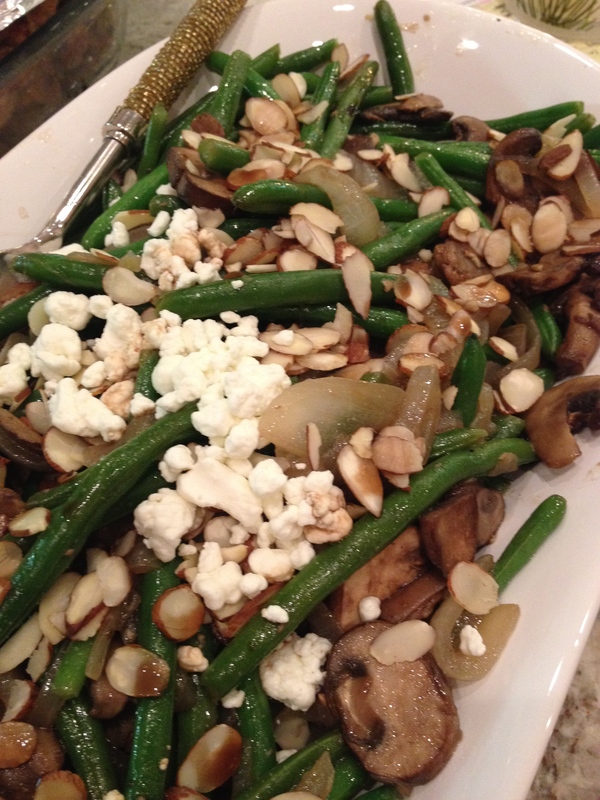 Top the dish with slices of almonds and crumbled goat cheese. 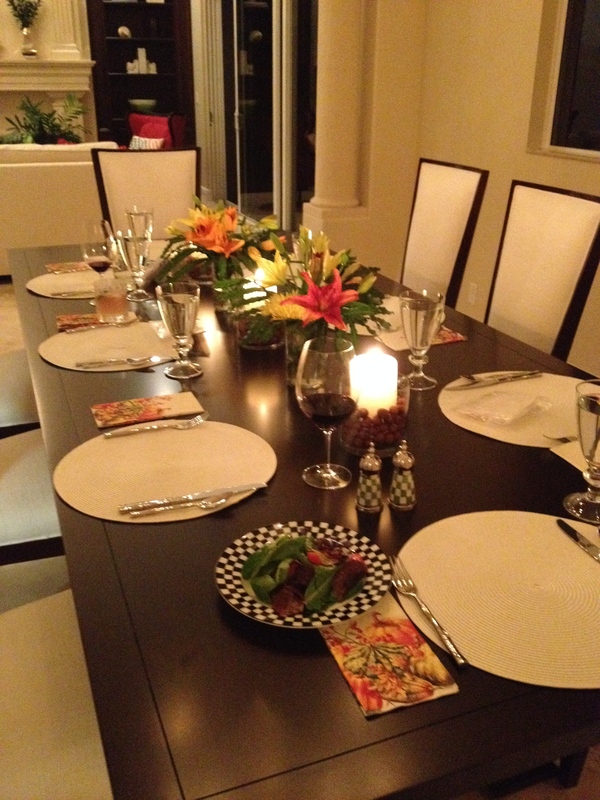 The vegetables can be served hot or warm/room temperature.